A strong, happy workforce is key to running a successful business, but building and maintaining one can be a challenge. With access to high volumes of data and sophisticated analytics, however, this task can be made easier. HR analytics solutions help companies use their employee data to make better decisions about their workforce and improve overall operational performance. Quantzig has found that analytics can reduce recruitment costs and employee attrition by up to 20%. From finding the best candidates to predicting future staffing needs to improving employee satisfaction, HR analytics provides numerous benefits. One area where HR analytics can be invaluable is the retail industry. Customer service is an essential aspect of retail, so hiring and retaining the best workers is a high priority. Additionally, employee turnover is expensive, and it is in a retailer’s best interests to keep it as low as possible. Recently, a leading retail chain was able to reduce turnover by 30% by collaborating with Quantzig to conduct employee surveys and develop a highly accurate turnover prediction model. With a better understanding of the factors involved, the company was able to identify high-risk stores as well as plan for seasonal absences and other issues. 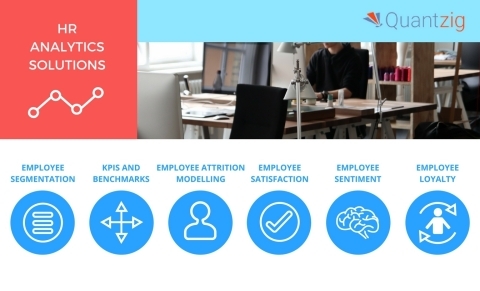 Companies are increasingly turning to HR analytics to identify and solve problems like these. There are many other ways that HR analytics are beneficial, including gauging and improving job satisfaction, streamlining communication between employees and HR, and enhancing employee support. They can also be used to pinpoint routine tasks that can be automated, freeing up an employee for a more complex job.